Dumpster Rental vs Junk Removal Service: Which is Right for You? If you have a project that requires waste or junk removal you have a choice between two options. First, dumpster hire. This is when you rent a dumpster from a waste management company for a set period of time. The company will deliver the dumpster to your property and remove it after you’ve completed your project. 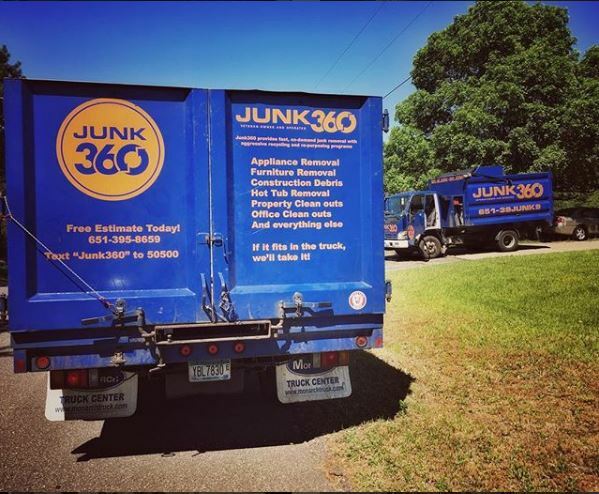 Your second option is to hire a full service junk hauling company, like Junk360, to come remove all your debris within a period of a few hours. But which option is right for you? To help you answer this question, we’ve broken down the pros and cons of each. 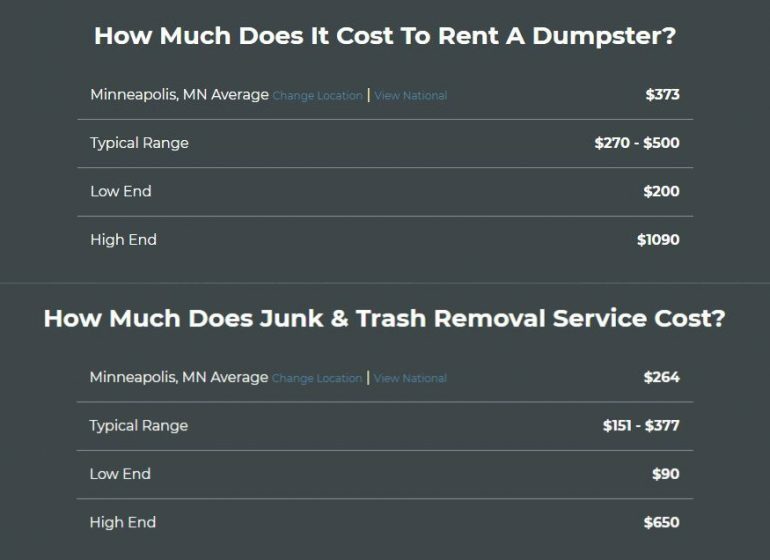 The cost of rental a dumpster in the Twin Cities can run you anywhere from $200-$1090 per day. 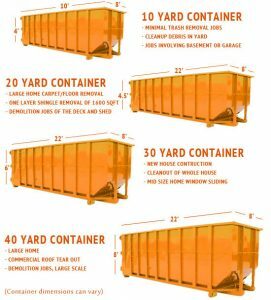 Because dumpsters are rented out for multiple days, these are great for projects where you’ll be removing waste for several days or a few weeks. When using a dumpster rental service, keep in mind that this will be heavily hands-on for you, the renter. If you want to take your time on your DIY project, this will allow you the freedom and flexibility to fill the dumpster as you go. However, if you’re not interested in disposing of large amounts of waste yourself, you’ll spend even more money hiring contractors or laborers. Many dumpster rental companies let customers select their preferred size of container. This could be anywhere from 10-40 yards in size. When loaded with waste and junk debris, those dumpsters will get heavy. For example, a fully loaded roll-off dumpster can easily weigh several tons. That amount of weight could crack your asphalt driveway or cause structural damage to a patio or yard. So renters have to take steps to protect their property and even city property if you’ll be storing the dumpster on a public sidewalk (which requires a permit). Make sure you speak with the rental company about if they’ll place protective plywood underneath the dumpster during the delivery process. The typical range for hiring a junk and waste removal company is anywhere from $90-$600. This significant cost decrease is because most services charge either by the hour or by truck space. Junk360 charges by the fraction of the truck, so even if we’re working for hours trying to saw apart a 400 lb furnace, you’ll only be charged for the ⅛ of the truck that the junk fills. Most junk removal services include labor. For example, Junk360 will take that molding freezer our the basement, load it into the truck, and haul it away – at no extra cost to you. This is especially helpful when it comes to removing large, heavy items (such as furniture or old appliances) and large amounts of debris (like yard and construction waste). Companies not charging by the hour are motivated to work fast while your property is not damaged in the process. In addition to fast services, junk hauling companies don’t require the permits and fees that come with dumpster rentals. For those environmentally conscious individuals, many junk removal companies recycle or donate the majority of their load. Junk360 is an eco-friendly organization. A core promise of its mission statement is that nothing goes into a landfill that doesn’t absolutely belong there. Instead, Junk360 donates everything it can to recycling and re-use programs. 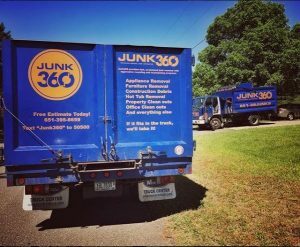 Call Junk360 for Your Junk Removal Needs! Hiring a junk removal company is easy! Call Junk360 today at (651)395-8659 for a free estimate today. Our friendly staff will talk you through the process, provide you will an accurate estimate, and get your junk hauled away in no time. When you contact us, you’ll realize why we’re constantly the top-rate junk removal service in the Twin Cities!